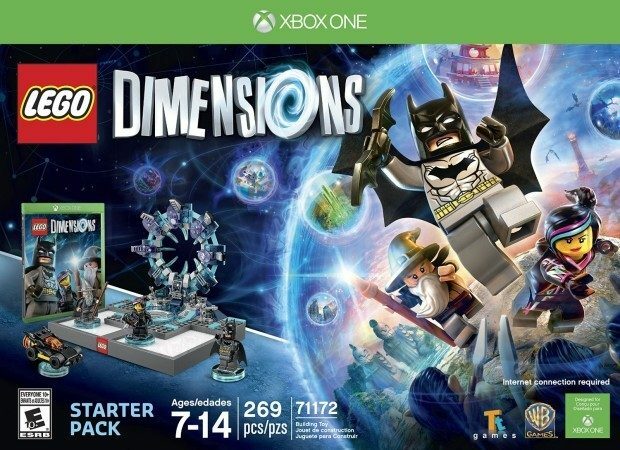 We have a nice price drop on Lego Dimensions! Get the LEGO Dimensions Starter Pack for only $59.99 on Amazon (reg. $99.99). Plus, it will ship for FREE! Price is good on XBox 360, PlayStation 3, PlayStation 4, and Nintendo Wii U. By purchasing additional expansion packs, players can grow their collection with a variety of their favorite brands to create even more crazy combinations. Bring up to seven , vehicles and/or gadgets into the game all at once by dropping them on the LEGO Toy Pad for the most exciting and action-filled game around. Players can let imagination guide their solo journey or have a friend join the adventure with co-operative, drop-in/drop-out play.